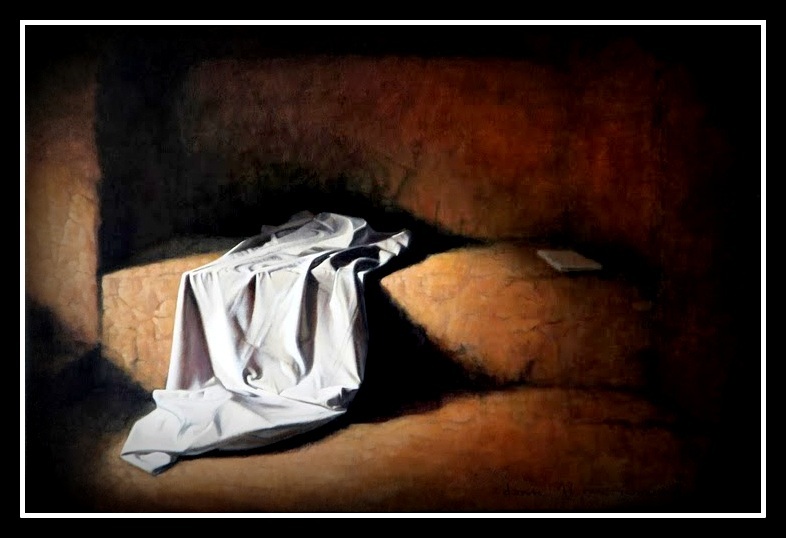 Early Sunday morning, while it was still dark, Mary Magdalene came to the tomb and found that the stone had been rolled away from the entrance. She ran and found Simon Peter and the other disciple, the one whom Jesus loved. She said, ‘They have taken the Lord’s body out of the tomb, and I don’t know where they have put him!’ Peter and the other disciple ran to the tomb to see.. The other disciple outran Peter and got there first. He stooped and looked in and saw the linen cloth lying there, but he didn’t go in.